HMH is honored to support Community Cycles with our time and resources on their new community bicycle center. Work has included interior space development, color and materials selection, custom cash wrap, interior graphics, and exterior signage. 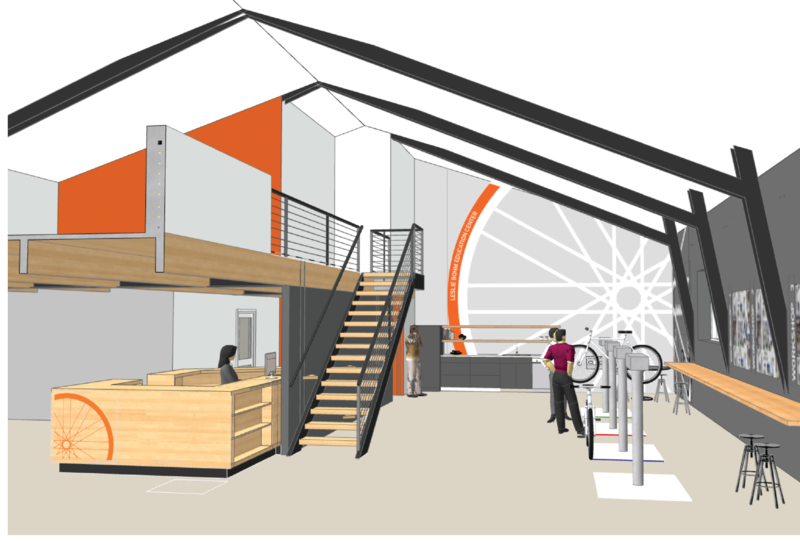 The new space includes fully-equipped repair stations, a larger education center, and retail & display areas. Community Cycles is a non-profit organization of bicycle enthusiasts whose mission is to educate and advocate for the safe use of bicycles as an affordable, viable and sustainable means of transportation and personal enjoyment within our community. They provide recycled bikes and a welcoming space to learn about bicycle repair, maintenance and operation through outreach and advocacy activities.